This leaflet is arriving on the doormats of Rother Valley Voters today. 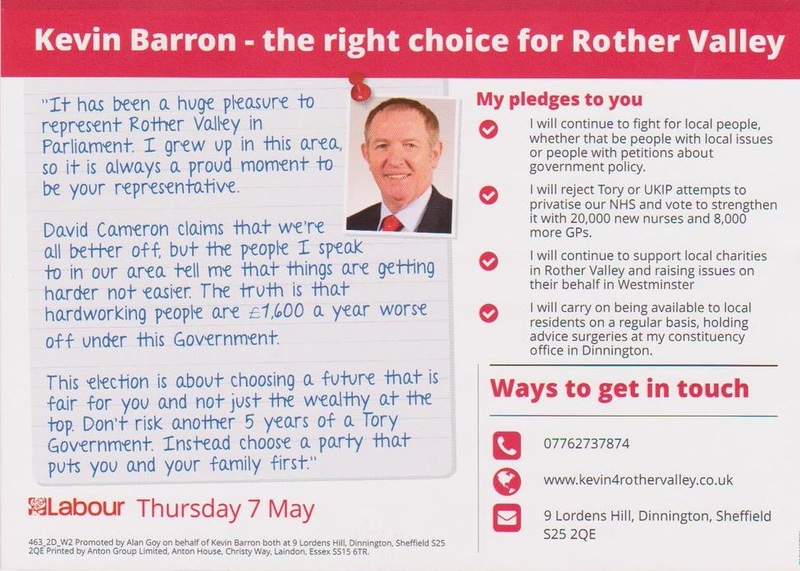 This entry was posted in Elections 2015 and tagged Kevin Barron, Labour Party, Rother Valley Constituency by Rik. Bookmark the permalink. I don’t understand how someone who was an MP the whole time doesn’t even mention the grooming gangs and what he intends to do about it. What Sir Nutkin is going to do about it is sue anyone who questions his knowledge on this subject.